Abacha is the main ingredient in African Salad. The name of the meal is also known as Abacha. It is white and crunchy and can be eaten dry as a snack with coconuts, roasted groundnuts (peanuts) and cashewnuts. It is soaked (hydrated) before use when preparing African Salad (Abacha). Knife for peeling and cutting the cassava tubers. Bowls for washing the grated abacha. 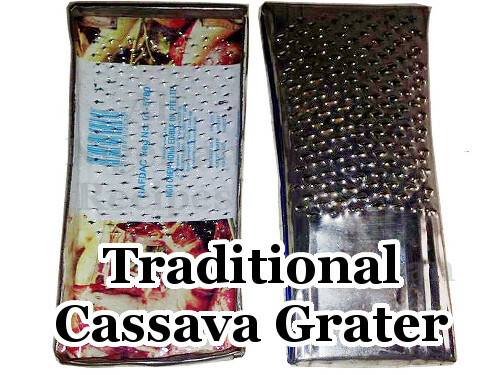 Cassava grater/shredder for grating the cassava tubers into abacha. 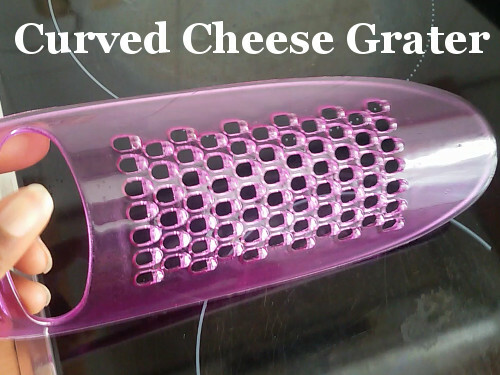 In the absence of this, use a cheese grater with the right size of holes. See the video below. Big flat baskets for drying them under the sun. If you do not have these, lay several A4 paper on a flat surface and spread them on top of the papers. 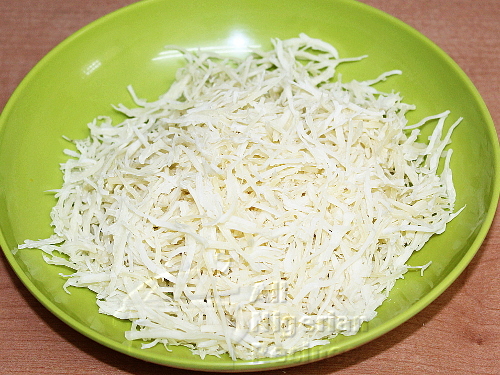 Abacha is made from cassava tubers (yuca in Spanish). 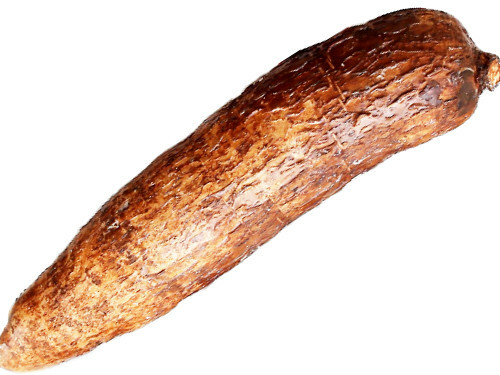 the cassava tuber is peeled, boiled, shredded/grated, soaked in water overnight and washed squeaky clean. Then dried in the sun. Written details coming soon. Meanwhile watch the detailed video below. If you have any questions about this preparation, click this link and ask me in the comments. Watch the video below to see how I did it.